The SATs are an important milestone because they determine the future of high school students in terms of college placement and the road they will continue to take on their way to success. Due to that observation, the standardized assessment brings a lot of fear and anxieties to students who have direct dreams and goals in their post-high school lives, and a lot of those objectives have to do with education and college. A poor score on the SAT Math makes the difference between being accepted into Stanford than enrolling in community college, not that that is not a viable option but it is not the option some people want. Math is especially troubling for a lot of students because it is such a complex subject with lot of moving parts and theories, and equations that create a bigger picture that connects together. Memorization and the complexity of certain mathematical concepts is what makes it difficult for many and that is why preparation for the mathematical portion on the SATs is important so that students taking it are prepared. Instead of paying between fifty to one-hundred dollars for a prep book there a free online prep available for students who want to excel. Excelling should not come at a price, but it often does. Having free SAT prep goes a long way for students who are saving pennies for their future and those three sites are there to help. College Board is a multi-use site that accommodates all of the academic needs of a prospective college student. It has access to not only SAT prep, but pre-SAT prep, AP information and AP scores which are all conducive to the enrollment in a good school. In simpler terms, College Board is the one-stop shop for all things college preparation related so in that are tests that prepare students for SAT Math assessments. It is rather simple to navigate and not only offers practice tests for Math but for the English portion as well. It is a well rounded service that is the answer to stressful student’s prayers. College Board is a good alternative to the traditional book purchased in a commercial bookstore because it has access to other tools that will also help with the prep, like information on the test and access to AP course and testing information which all deals with college enrollment and helps organize the student’s post-high school planning. Planning is a crucial step in eliminating fear because fear is based on the unknown and being prepared makes everything known to the student. The site has multiple purposes and that is great for individuals planning on attending school once they graduate, and the convenience of the SAT prep is a plus. Khan Academy is affiliated with College Board and offers the same user friendly format as the College Board site offers. It explains its services well and gives a more extensive practice of SAT Math work which is extremely useful because the test itself is rich in length and covers a variety of subjects that many students may have forgotten while lost in the sea of complexity which is high school math courses. Not to be confused with the fact that it only deals with simplistic elementary school math because it does not, it has advanced elements that may not be easy for some to graps, so the practice is necessary for a couple of reasons. It is necessary so that the future test takers are able to go through the assessment with ease instead of struggling on concepts that will take up time. Khan Academy is a good option because of its user friendly format and its extensive availability of quality SAT Math prep questions that are similar to the actual test. The Princeton Review is the less known out of all of the options but that fact does not mean that it is not as useful. It is brief as well as the preparation but it is still a good option for future test takers because of its close resemblance to the actual test. A lot of the times students who have taken the SAT have reported that they were confused by not only the content but the way the question was formed. It employs an extra sense of comprehension and understanding which confuses many, especially during a timed assessment period where the pressure of finishing in time with accuracy is high. The Princeton rEview site offers a brief preparation that consists of a couple of questions that resemble the actual SAT test so that the future test taker can not only prepare in terms of content but also get use to the way the questions are formed. Traditional books do achieve this effect but the cost to obtain and see this type of information is high and the SAT already has a registration fee. Having access to preop material that is accurate, valid and useful is conducive to higher test scores. College Board, Khan academy and The Princeton Review are all good options for students who rather save their pennies for SAT registration and college tuition that spend it on a book that gives the same amount of information. All three websites offer completely free services that promise the same amount of quality of the traditional books and the same amount of depth that needs to be demonstrated in order for the prospective college student to be prepared for the assessment. The junior and senior years of high school can be immensely stressful for students because of the impending pressures of post high school life which most likely requires formal education. The SATs should be something that is not fear and that stigma can be eliminated with adequate preparation at no cost. Money is enough of a concern for many because college tuition is only increasing, and the pressure to maintain good grades in a student’s junior and senior year also causes many feelings of anxiety. Preparedness is the number one anecdote to anxiety and these sites offer it for no charge! Tests come in all shapes and forms throughout our lives. And for young children, tests can dominate quite a lot of early years education. At studybean.com, we understand that tests allow us to understand where we are in our development, but also in society too. But why should we practice for tests? What is the benefit of us taking the time to practice? And why is using studybean.com so important? Well, put simply, practice tests will assist young pupils in understanding where their strengths and weaknesses are. It gives you the chance to gain feedback way before the real tests as to what still needs to be worked on and where a pupil may, or may not, need to improve. Secondly, practice tests help to build and develop confidence in young children. A lot of young pupils may get nervous or even anxious about tests and by doing practice tests you are able to help children to become accustomed to taking tests; thus withdrawing a lot of the anxiety that comes with educational tests. By taking practice tests with us here at studybean.com you can help your child to become far more knowledgeable in the future. You see, by doing so you are boosting a child’s confidence and also being able to identify those areas of weakness early on; if you can do both of these things then you will be sure to support your child in success moving forward and a website such as studybean.com is the perfect place to start. 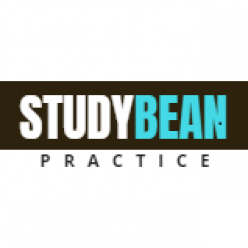 A child full of confidence and with support for their weak areas will certainly have a higher chance of passing their real test in the future – and by subscribing to studybean.com is the ideal way to support your child.